Red T, in partnership with the International Association of Conference Interpreters (AIIC) and the International Federation of Translators (FIT), issued a Conflict Zone Field Guide for Civilian Translators/Interpreters and Users of Their Services. Red T, in partnership with the International Association of Conference Interpreters (AIIC) and the International Federation of Translators (FIT), issued a Conflict Zone Field Guide for Civilian Translators/Interpreters and Users of Their Services. This document, the first of its kind, outlines the basic rights, responsibilities, and practices recommended by the three organizations. It applies to translators and interpreters serving as field linguists for the armed forces, journalists, NGOs, and other organizations in conflict zones. Translators and interpreters (T/Is) contracted to work in theaters of war and other areas of tension are often non-professional linguists yet play a key role in communications. Operating in high-risk environments, they are extremely vulnerable and thus require special protection both during and post conflict. “The lives of host-nation linguists and their families are frequently threatened due to their affiliations with foreign employers, be they armies or other entities,” said Maya Hess, CEO of Red T, a non-profit dedicated to the protection of translators and interpreters in high-risk settings. Thus, to promote their safety and enhance their standing, Red T, AIIC, and FIT believe that T/Is must know their rights as well as the standards and ethics of the language profession. Such knowledge and preparedness will likely limit the risks they run. This Conflict Zone Field Guide is the first in a series of publications that Red T, AIIC, and FIT plan to draft as part of a “safety kit” for translators and interpreters at risk. It can be downloaded from the websites of the respective organizations (red-t.org; aiic.net; fit-ift.org) and will be disseminated across the globe through various channels, such as national industry associations, NGOs, etc., as well as distributed directly to field linguists. Language services providers and language bloggers may link to the three non-profit websites to access the document. 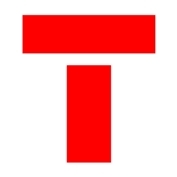 Red T is a non-profit organization dedicated to the protection of translators and interpreters in conflict zones and other dangerous settings. Established in 2010, Red T advocates worldwide on behalf of linguists at risk, raises awareness of their plight and promotes their safety. For more information, visit http://www.red-t.org. AIIC (Association Internationale des Interprètes de Conférence/International Association of Conference Interpreters) is the only worldwide association for conference interpreters. Founded in 1953, it brings together more than 2900 professional conference interpreters in over 250 cities in over 90 countries and sets standards for the practice of the profession. For more information, visit http://www.aiic.net. FIT (Fédération Internationale des Traducteurs/International Federation of Translators) is an international grouping of associations of translators, interpreters and terminologists. More than 100 professional associations are affiliated, representing over 80 000 translators in 55 countries. The goal of the Federation is to promote professionalism in the disciplines it represents. For more information, visit http://www.fit-ift.org.